Serial leaker Evan Blass (@evleaks) has leaked a hi-res image of what he claims is OnePlus’ next flagship, the OnePlus 6. 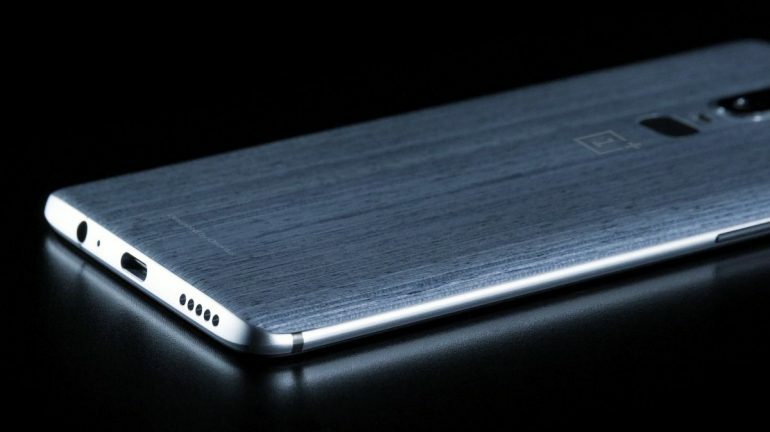 The picture may only show the back of the phone, but it’s clear that the aesthetics of OnePlus’ upcoming flagship will have a few design changes. For starters, we now know that the phone will still retain a dual camera setup in the rear like the OnePlus 5T. Unlike the OnePlus 5T, it looks as though the array has been shifted to the middle, sitting just above the phone’s fingerprint sensor. Speaking of which, even the fingerprint sensor seems to have been redesigned into a square-shaped sensor, as opposed to the circular design that was employed with the OnePlus 5T. It’s also important to note that the phone seems to sport a metallic frame, while the back of the phone itself seems to be covered in a material that looks something akin to brushed aluminium. Moving forward, the phone will clearly have a USB Type-C port, and it’s also comforting to see that OnePlus hasn’t forsaken the 3.5mm headphone jack. Beyond the picture, @evleaks didn’t share any further details. However, it’s likely that the OnePlus 6 will be running on the latest Snapdragon 845 SoC, and that it will have a display with a 19:9 ratio.